SAN JOSE, Calif. (CN) – As California grapples with a housing crisis with Silicon Valley as the epicenter, the mayor of San Jose unveiled a 15-point plan to address the region’s worsening woes. San Jose Mayor Sam Liccardo revealed a plan Monday to build 25,000 homes in the city with some of the highest housing prices for buyers and renters, including 10,000 affordable housing units. San Jose’s crisis isn’t just about homeless and lower income residents anymore, but could actually crimp industry’s ability to attract talent to the region and fill positions, the mayor said during an event announcing 5,000 more residential units in the city. The mayor detailed a plan in vogue in many communities in California – using downtown transportation corridors to build more high-density residential complexes, something favored in environmentally conscious California where residents often oppose urban sprawl’s encroachment on green space. The California Environmental Quality Act (CEQA) is increasingly pointed to as the reason for the slow pace of housing development throughout the Golden State. And while most builders are not opposed to the law or the rigorous environmental analysis it demands, they do say it is abused by people who file lawsuits with the intent of hindering projects because they object to any degree of change in their neighborhoods. A study published this past July showed a 33 percent increase in CEQA lawsuits in Southern California, with a majority of the suits affecting residential projects. Liccardo’s plan calls for about half of the 25,000 housing units to be built in San Jose’s downtown corridor. Other neighborhoods to the north of the city that will be adjacent to light rail and other public transportation services will also be targeted. The mayor’s announcement was met with near universal acclaim from the many South Bay affordable-housing advocates. “(We) are in full support of Mayor Liccardo initiative,” tweeted SV@Home during the press conference held in downtown San Jose’s Japantown. Some of Liccardo’s talking points included the need to build housing not just for the poor, but for middle class individuals like police, nurses, teachers and others who have trouble finding housing in the area. The construction of rent-restricted housing could help offset the problem of many of the middle-class workers having to commute longer distances. Liccardo also wants to focus on revitalization of struggling business districts throughout town and the generation of more funding for affordable housing. Monday’s announcement comes on the heels of a major push by the California Legislature and Gov. Jerry Brown to address the housing crisis statewide. 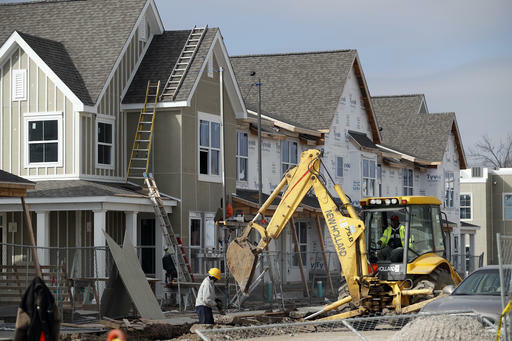 Brown signed a raft of different bills aimed at alleviating the housing crisis by addressing tight inventory and a shortage of available places to live. The bills include placing a fee on real estate transactions in an effort to raise money for affordable housing projects; requires cities to meet housing goals with the option to remove some environmental review processes in order to do so; fast tracks projects near public transportation; and constrains local governments ability to vote down housing projects among other provisions. Liccardo said the political will to bring more housing to San Jose exists and that the city is eager to partner with the state to bring the housing plan to fruition.